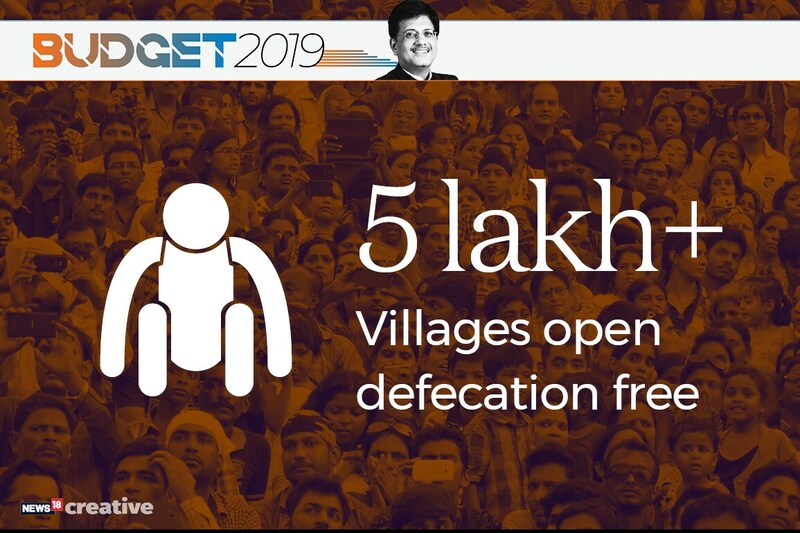 Over 5.45 lakh villages have been declared open defecation free, says interim finance minister Piyush Goyal while presenting the budget today. 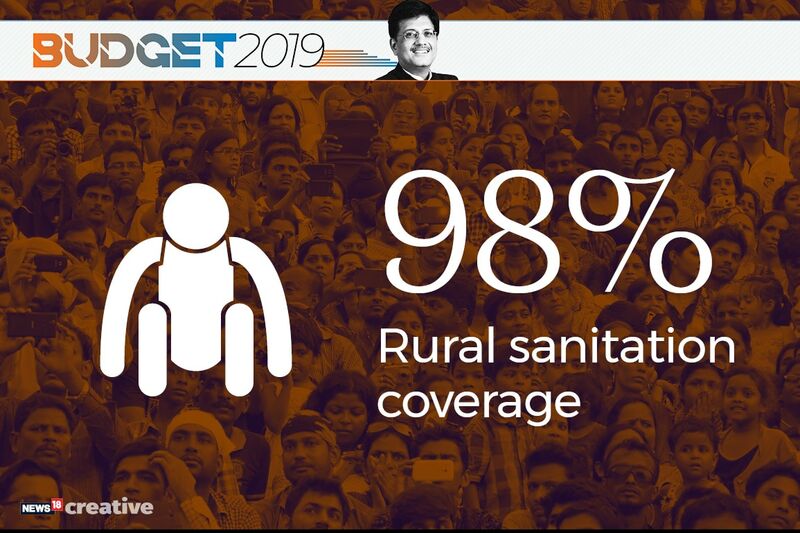 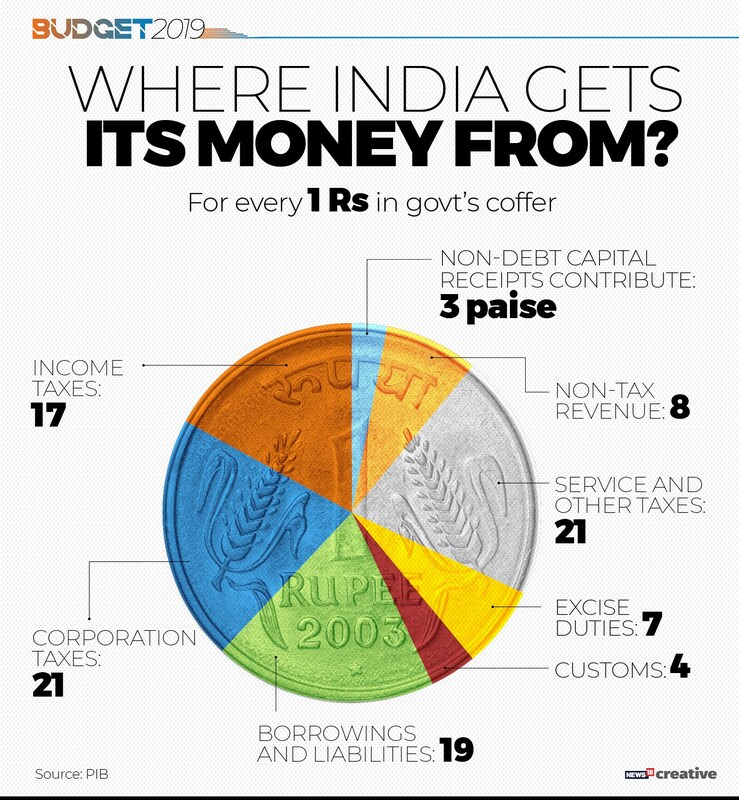 Interim finance minister Piyush Goyal says over 90 percent of the country has been covered under sanitation coverage. 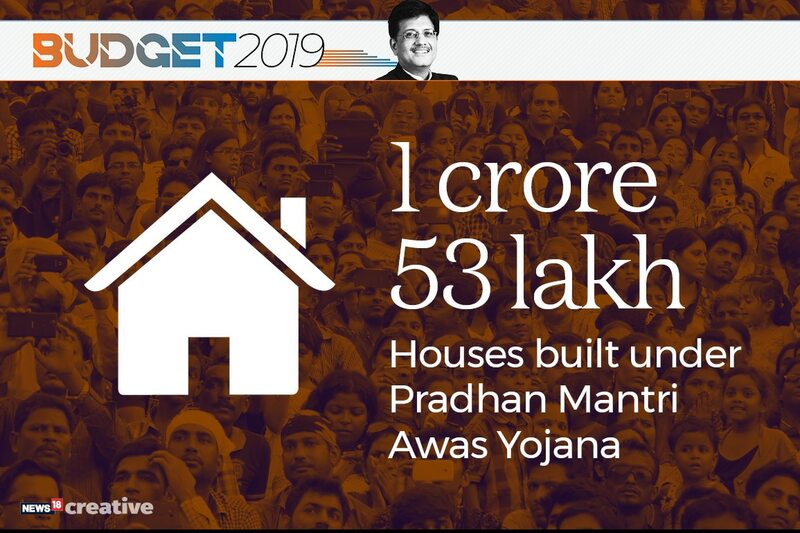 More than 1 crore houses have been built under Pradhan Mantri Awas Yojana (PMAY), says interim finance minister Piyush Goyal while presenting the budget today. 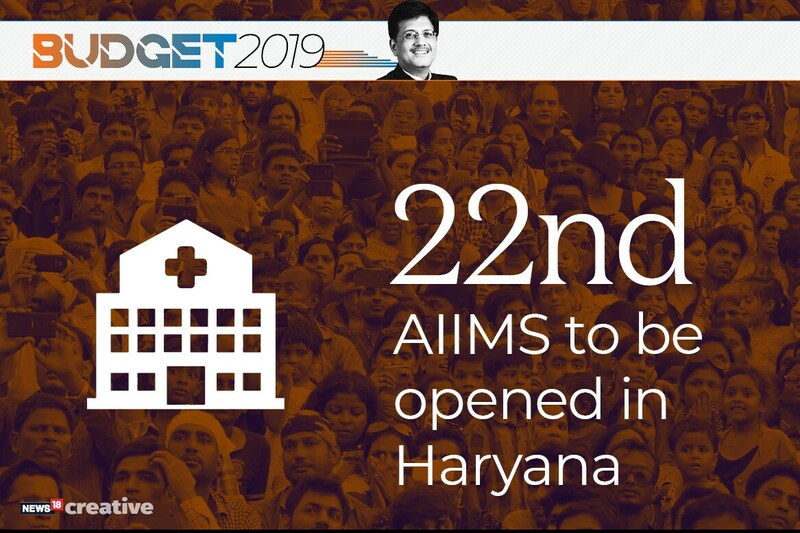 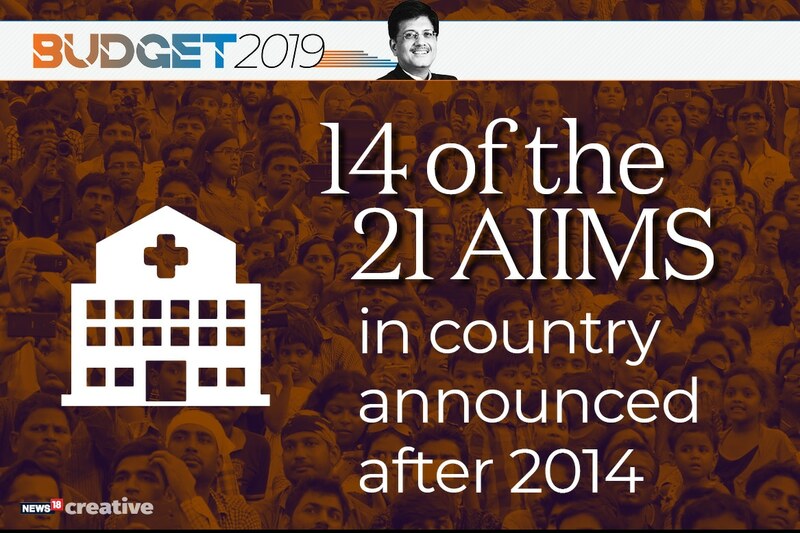 Interim union finance minister Piyush Goyal has announced that the NDA government will set up an All India Institutes of Medical Sciences (AIIMS) in Haryana. 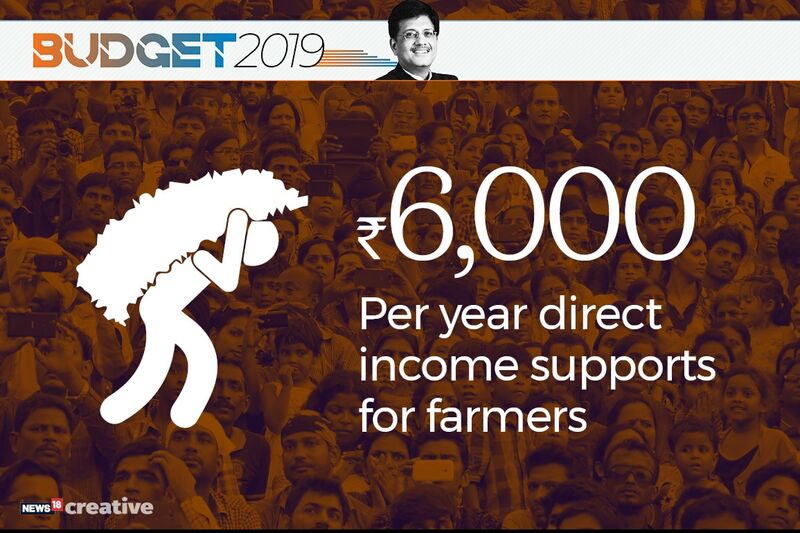 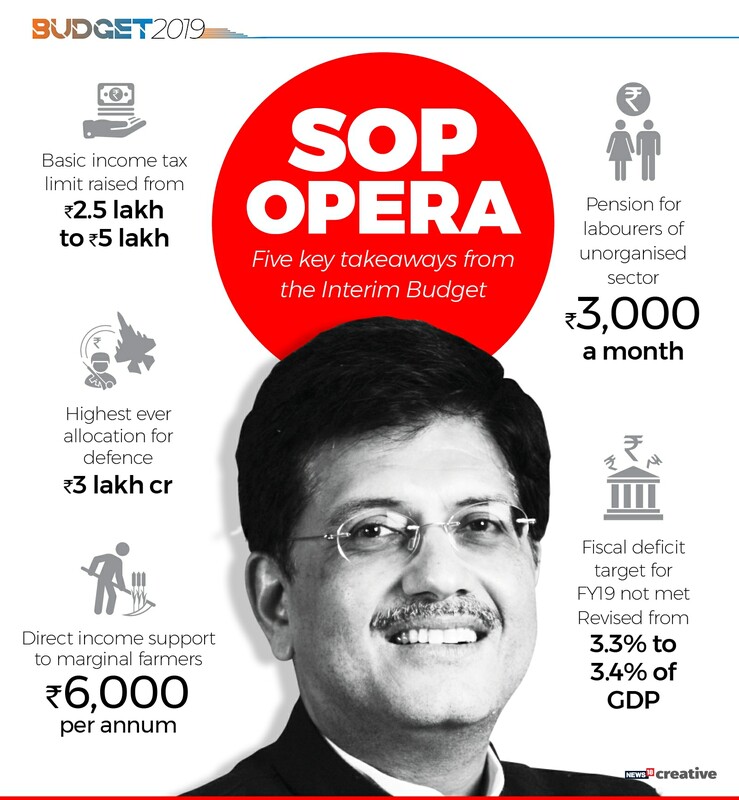 For farmers, interim union finance minister Piyush Goyal has announced Rs 6,000 per year for farmers with less than two hectares of land in the interim budget. 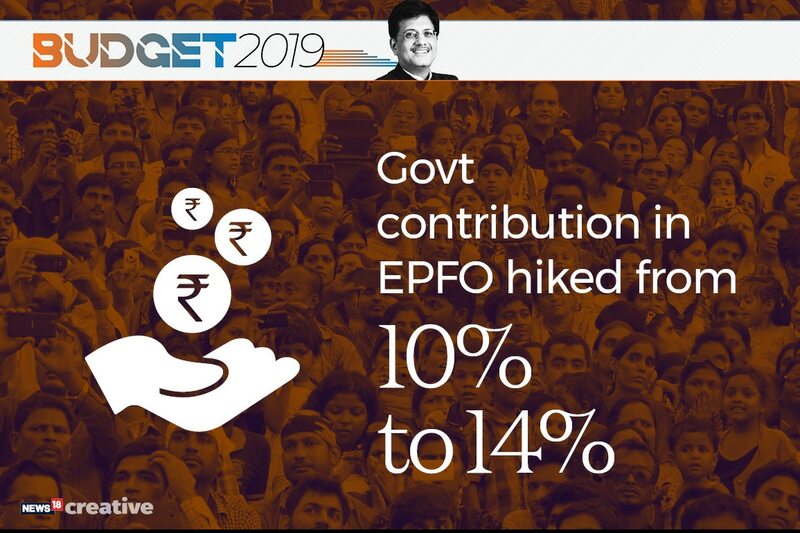 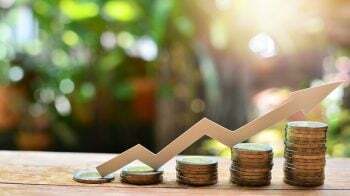 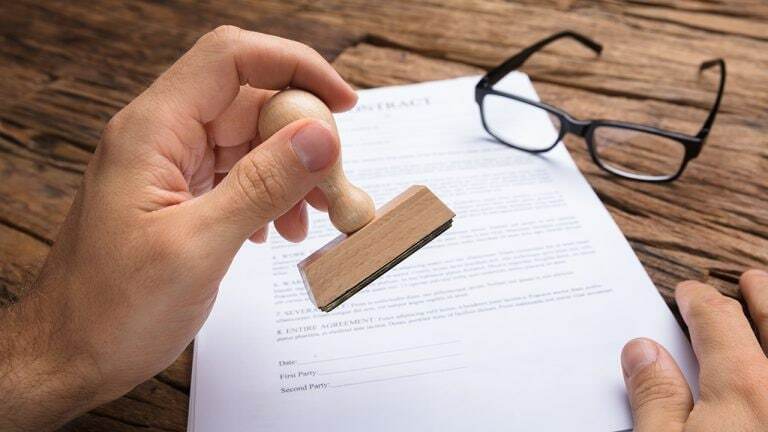 Interim union finance minister Piyush Goyal on Friday hiked government contribution in Employees' Provident Fund Organisation (EPFO) from 10 percent to 14 percent. 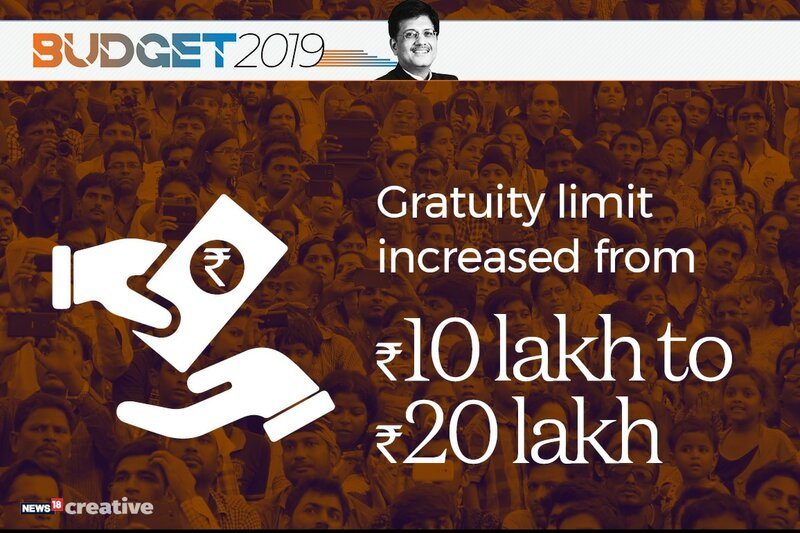 Interim union finance minister Piyush Goyal on Friday increased the gratuity limit to Rs 30 lakh from Rs 10 lakh. 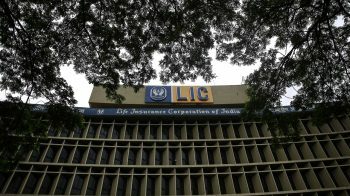 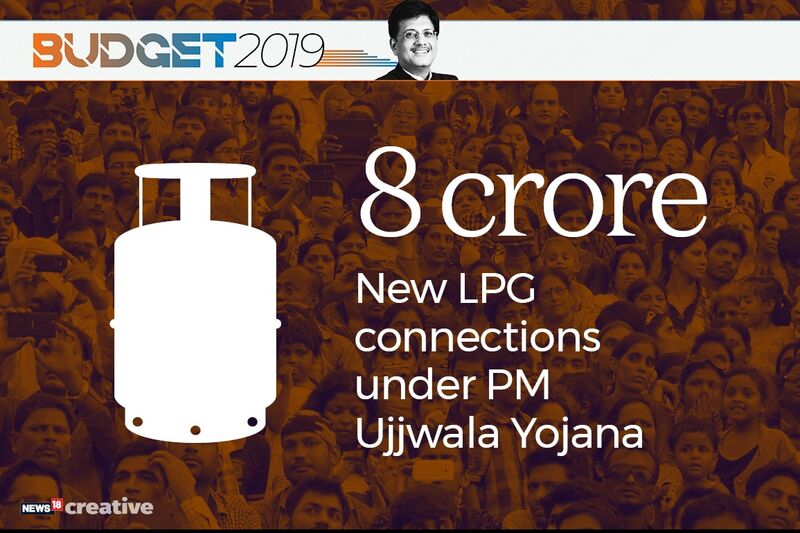 Under Pradhan Mantri Ujjwala Yojana, government is planning to give 8 core new LPG connections out of which 6 crore connections have been given already, says interim finance minister Piyush Goyal on Friday. 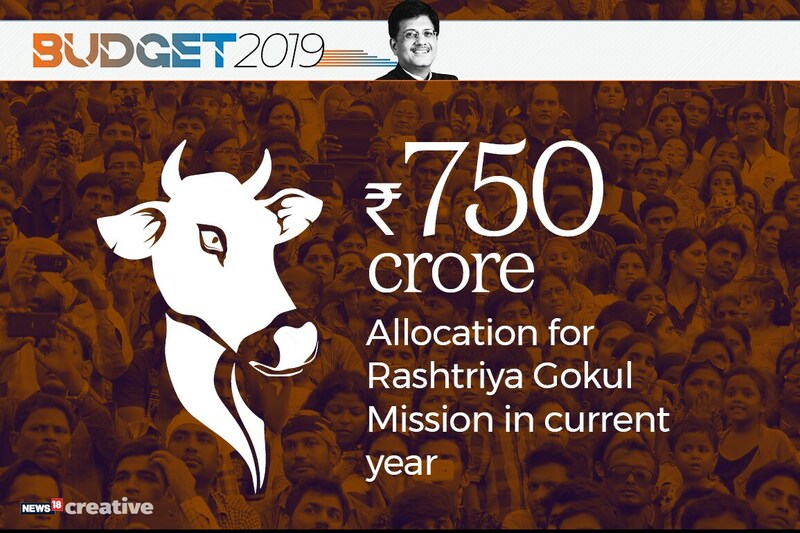 In the interim budget, the government has increased the allocation for the Rashtriya Gokul Mission to Rs 750 crore this year, says interim union finance minister Piyush Goyal on Friday. 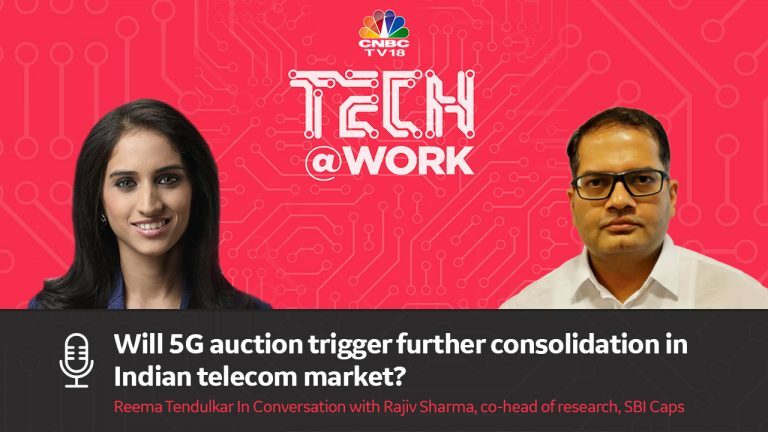 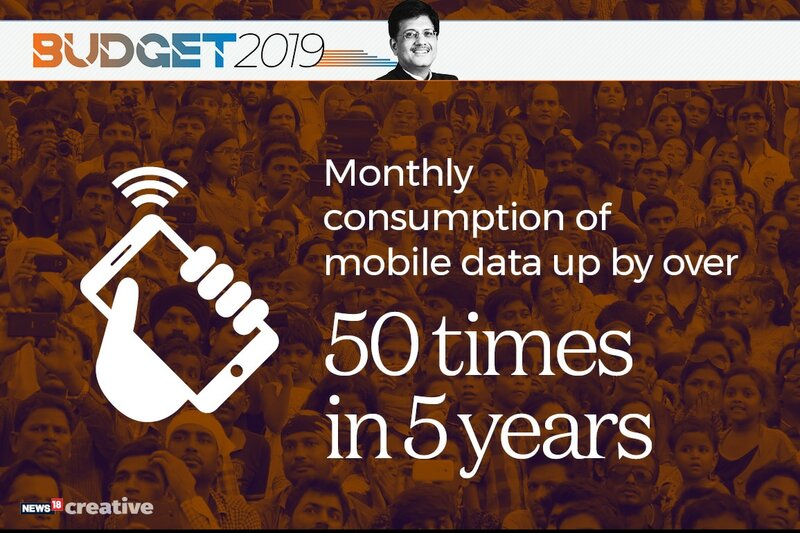 Interim finance minister Piyush Goyal on Friday said the monthly mobile data usage in India has increased over 50 percent in the last five years. 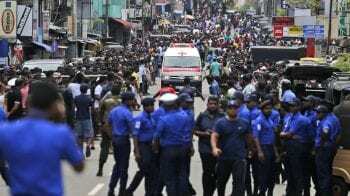 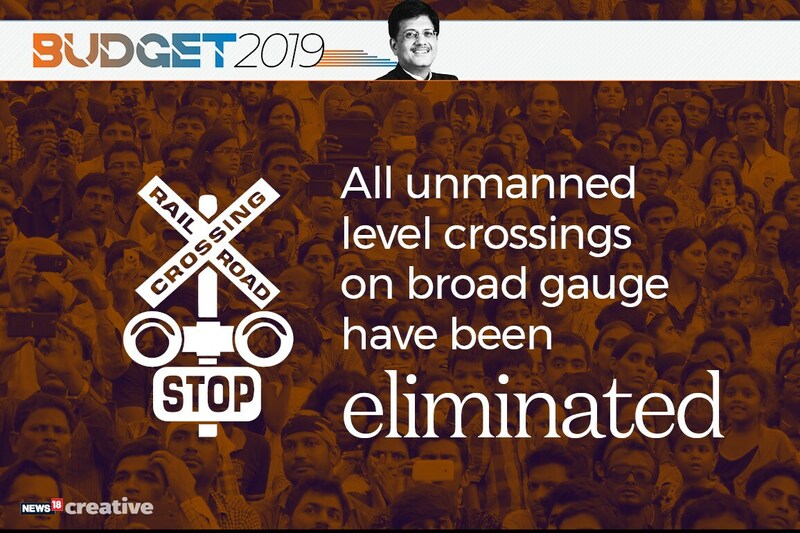 The Indian Railways has achieved its target of eliminating all unmanned level crossings, says interim finance minister Piyush Goyal on Friday during the budget speech. 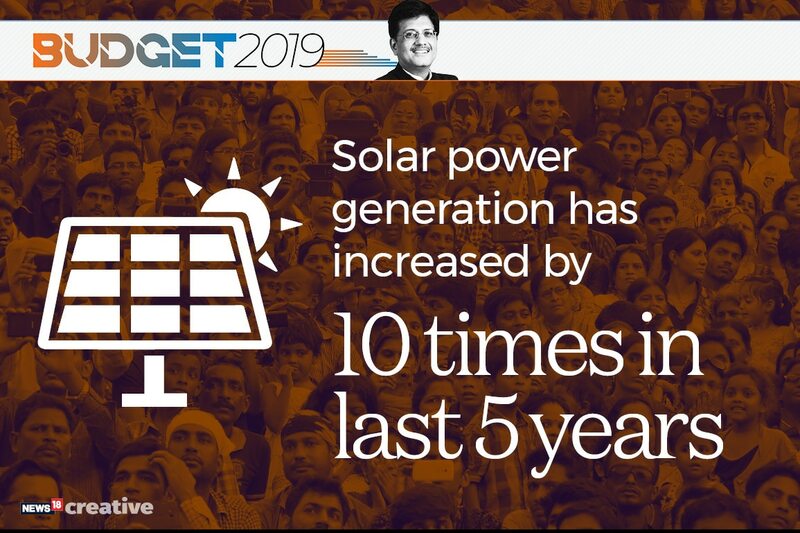 Installed solar generation capacity has increased 10 times in the last five years, says Interim finance minister Piyush Goyal on Friday. 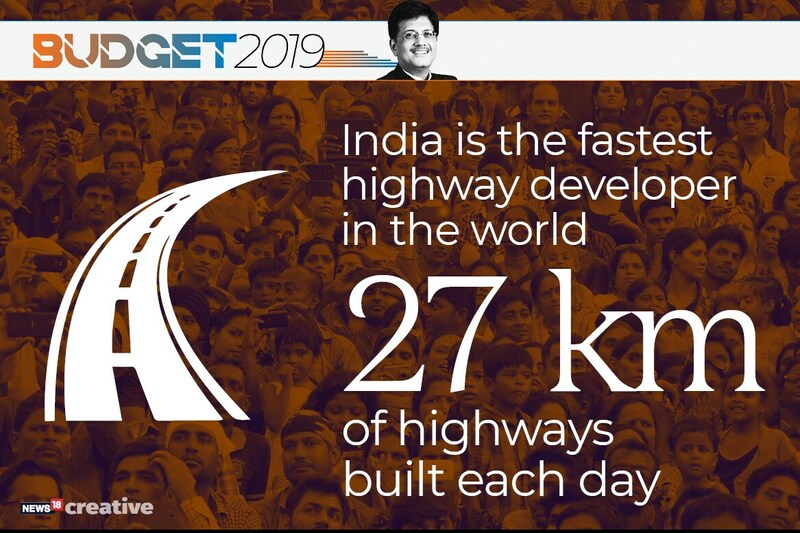 Interim finance minister Piyush Goyal said India is the fastest highway developer in the world with 27 km of highways being built every day. 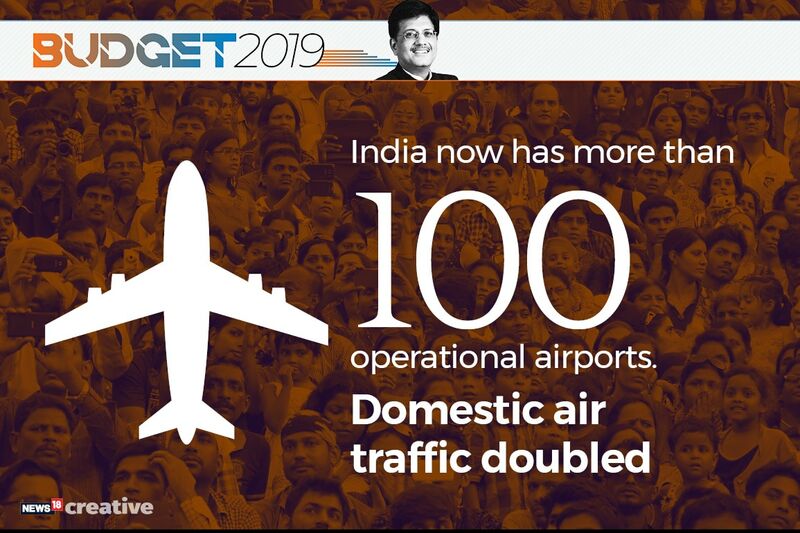 There are over 100 operational airports in the country. 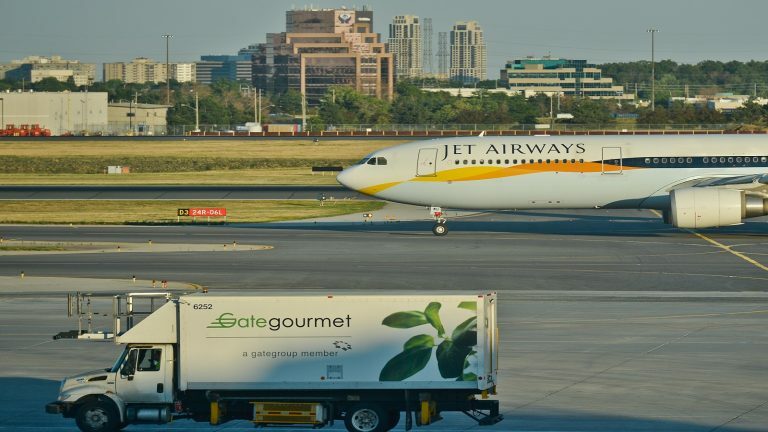 Domestic passenger traffic has doubled, says interim finance minister Piyush Goyal on Friday. 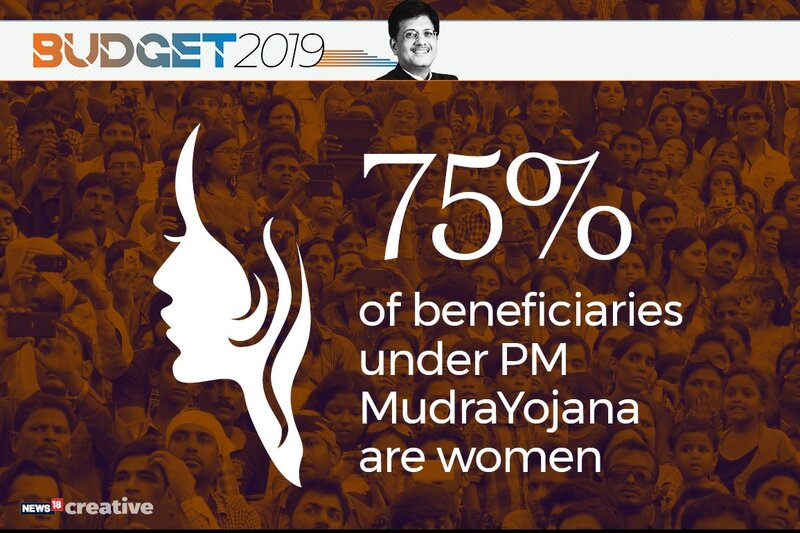 Interim finance minister Piyush Goyal said around 75 percent of woman beneficiaries are there under Pradhan Mantri Mudra Yojana (PMMY). 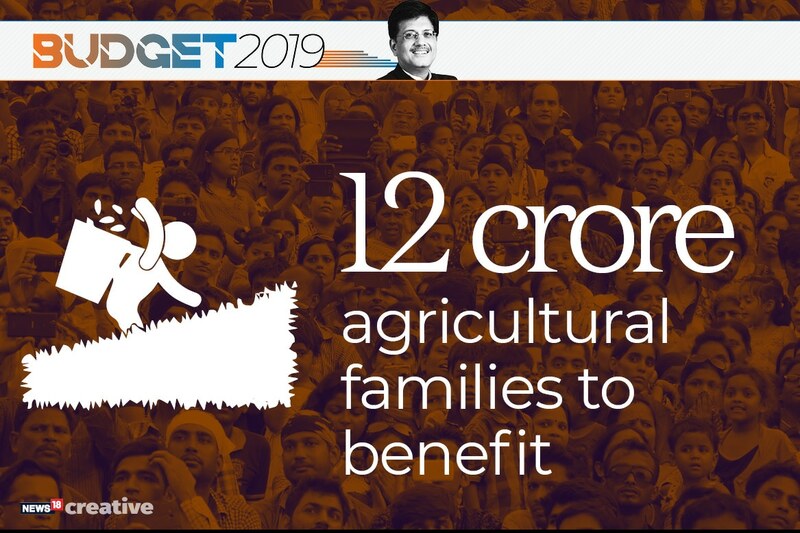 Pradhan Mantri Kisan Samman Nidhi (PMKSN) is likely to benefit 12 crore small farmers, interim finance minister Piyush Goyal said on Friday. 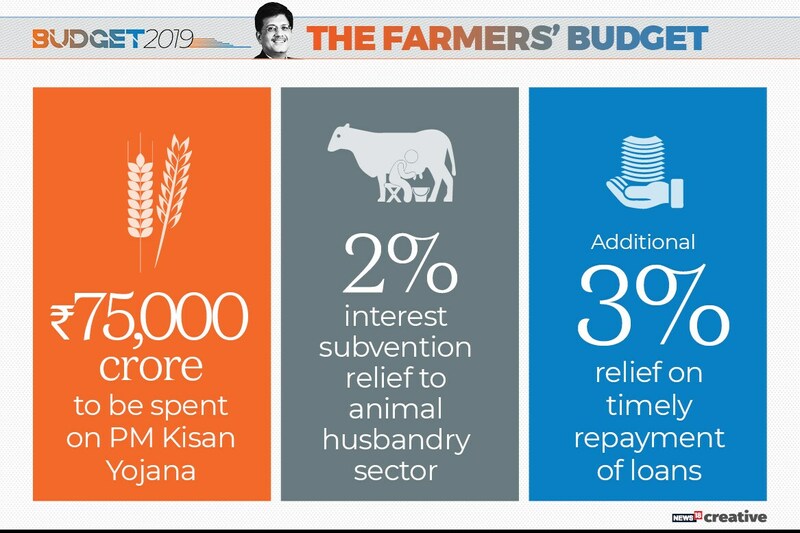 The Pradhan Mantri Kisan Samman Nidhi (PMKSN) scheme will cost the Narendra Modi government Rs 75,000 crore, says interim finance minister Piyush Goyal on Friday. 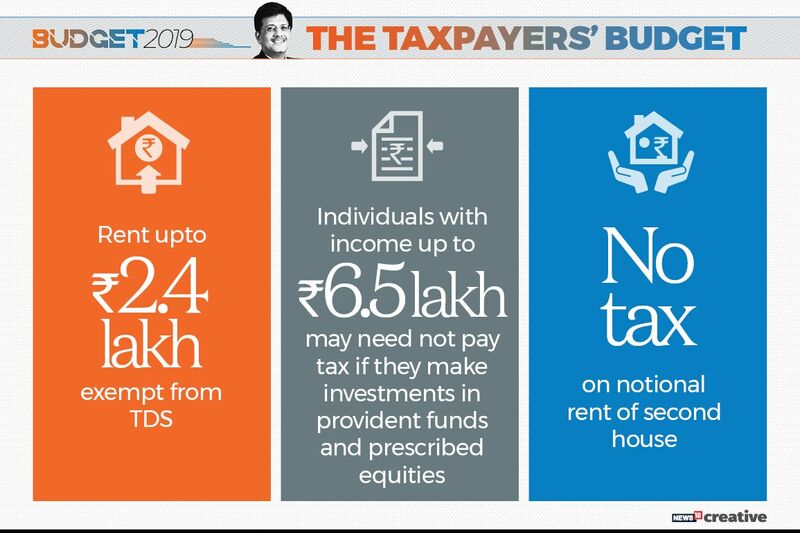 Interim finance minister Piyush Goyal on Friday said persons with gross income of Rs 6.5 lakh annually will not have to pay any tax after considering investments of Rs 1.5 lakh in tax saving schemes. 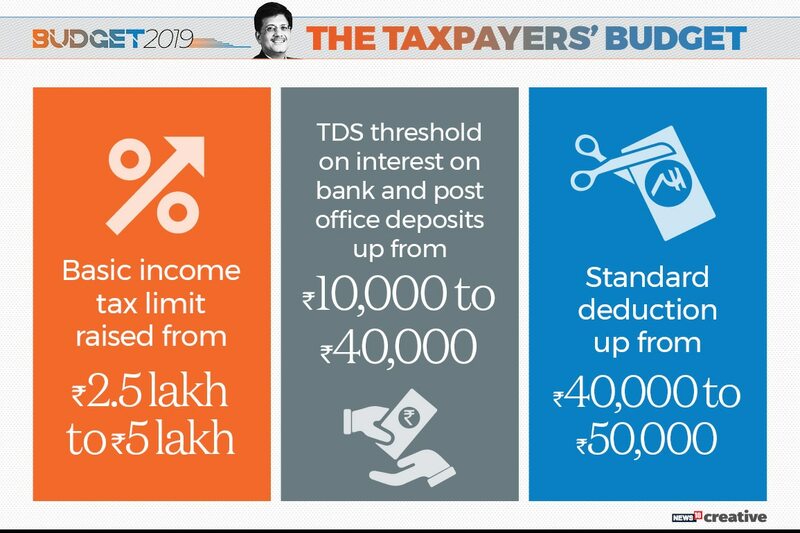 Interim finance minister Piyush Goyal on Friday raised tax deducted at source (TDS) threshold on interest from bank, post office deposits from Rs 10,000 to Rs 40,000. 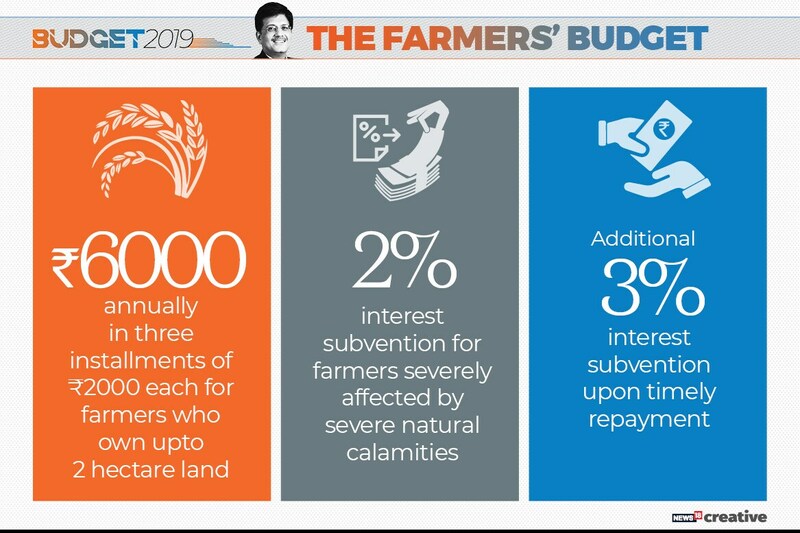 Under the scheme called 'Pradhan Mantri Kisan Samman Nidhi', Rs 6,000 will be transferred into bank accounts of farmers holding up to 2 hectares of land in three equal instalments, says interim finance minister Piyush Goyal on Friday. 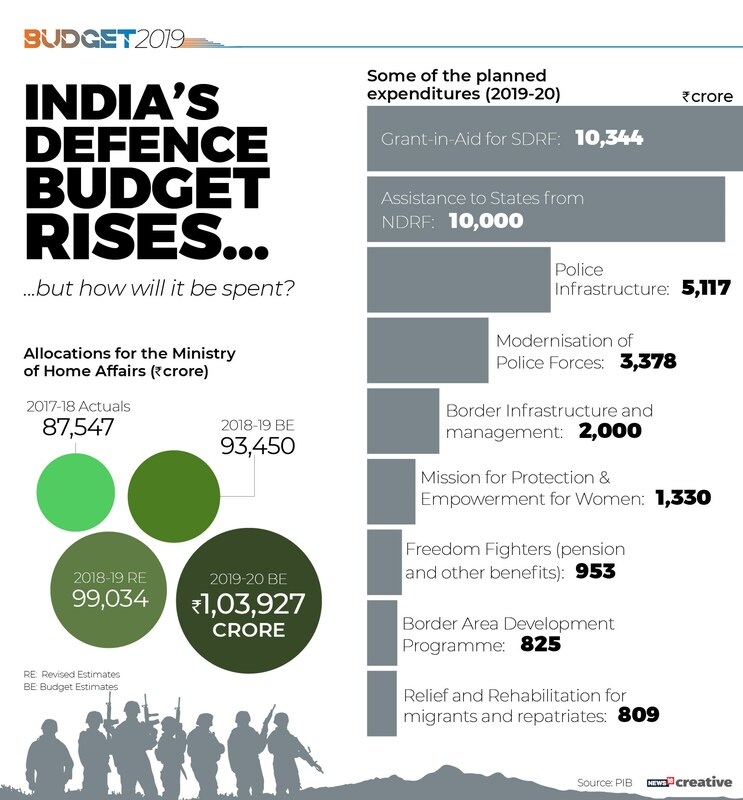 An outlay of Rs 3.05 lakh crore was Friday set aside for the defence budget for 2019-20 which was a hike of around Rs 20,000 crore compared to allocation of Rs 2.85 lakh crore in the current fiscal, says Piyush Goyal.